At CNLE Law we are very proud that our strategic partner Carolina Ortiz Espinoza is part of this great event which takes place in the city of Memphis - Tennessee until October 26th. This conference is very important because it is a space to exchange ideas and experiences, explore solutions and network with the aviation and aerospace industry’s foremost women leaders. With a reputation for insight, relevance and value among #women in #aviation, IAWA’s Annual Conference is the world’s leading women’s conference for the aviation and aerospace industry. Join us and your colleagues for an unrivaled examination of the latest challenges facing the industry that cover topics including issues related to aviation operations and safety, infrastructure, manufacturing, customer experience, MROs, general aviation, aerospace, finance, insurance and liability, as well as women’s leadership development interactive sessions. 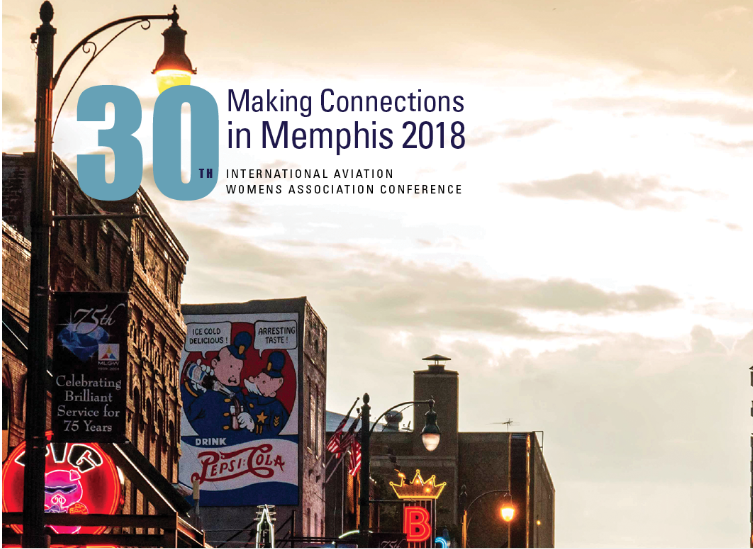 IAWA’s Annual Conference, now in its 30th year, is the “must attend” conference for women in leadership and management roles in the industry. It’s renowned for its interactive and lively panels, varied program and excellent networking opportunities. Developing the next generation of leaders has been a key component of IAWA’s mission from its founding in 1988. Through scholarships and mentoring and internship programs IAWA seeks to increase the number, visibility and efficacy of women in the aviation and aerospace industry throughout the world. As the industry and technology evolve, IAWA’s programs will help the tomorrow’s leaders meet new challenges. IAWA recognizes and promotes women’s excellency and leadership in the aviation and aerospace areas through an international network of initiatives for the professional development, and establishment of associations and business opportunities for its members. Additionally, IAWA supports young women in achieving careers related to the aviation and aerospace industries through its scholarship program at prestigious universities around the world, as well as through its mentorship and internship programs in industry related companies. Events That Make A Difference In The World Of Aviation.